We’re an independently owned and operated agency in Franklin, and we deliver broad, flexible insurance and risk management solutions to individuals, families, and businesses throughout Southeast Wisconsin. Since 1966, we’ve provided comprehensive products and personalized services to all our clients. As a result, we’ve grown within our service communities. We’re members of the National Association of Professional Insurance Agents (PIA) and have a vast network of carriers. We offer a wide variety of personal and commercial insurance programs that can be fully adapted to meet the needs of any person or commercial enterprise for almost anything. We’re dedicated to giving each client the greatest possible value. To ensure that this value is delivered, we take a hands-on, relationship-based approach to creating solutions. We assess clients’ needs in great depth and identify coverages that meet said needs. We create policies and packages that fully protect clients against any exposures the clients face, giving them the right prices. Beyond our products, we support clients throughout the lives of policies. This means that we provide services that not only help clients make the best insurance investments but also helps them maximize their investments’ value and keep clients informed. This way, clients’ concerns for undue costs are non-existent. There are no bad surprises. Home and auto insurance are vital parts of any insurance portfolio, whether someone lives in Wisconsin or any other American state. Both types of insurance are common and easy to find, but both should be adapted to fit the needs of individual homeowners and/or drivers. Home and auto insurance should also not be sold on price. 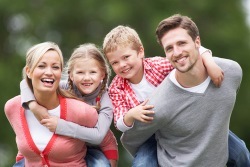 At Lakeshore Insurance Agency, we have extensive and diverse home and auto insurance programs, each of which can be adapted to fit individuals’ needs. With these programs, you can stay completely secure for minimal costs. To save on your home and auto insurance, combine these two types of insurance. Doing so will give you a multi-line policy and make you eligible for a discount that can help you lower your rates. In most cases, a multi-line policy will also make you eligible for benefits that make extended coverages available. See our home and auto page and/or speak with an agent to learn more. Business insurance, like home and auto insurance, is not something to be sold as a commodity. It requires attention to detail and strong consideration for clients’ needs. Often, business coverages come in basic and additional forms, and at Lakeshore Insurance Agency, our business program provides all types of coverages which can fully secure virtually any commercial enterprise. Our business coverages are listed on our business coverage page, but if you want to examine coverages available for individual industries, see our specific industries page. Combinations of basic business coverages and coverages from specific industry programs can be made so you can find a solution that fits you exactly. Providing insurance products and services is the surest way we have of contributing to the communities we serve, but there is more we can do to make these communities better places to live and work. We participate in and support local events and activities that celebrate our service areas. We also work with organizations that help businesses network and help make the socioeconomic environment of the communities we serve healthier. Involvement with these events and organizations not only helps us get to better know the people whom and businesses that we serve, but it helps us become better insurers. We believe in giving every client the best insurance experience possible, and to make sure that such an experience is had every time, we provide services that are equally as valuable as our products. Risk and claims management, and ongoing education are among these. By providing these and other services, our clients can keep costs at a minimum and can have advocates if and when claims are filed. Clients can also have the tools they need in order to make the best possible decisions about their insurance. We’re fully available which means that whenever and however clients need to reach us, we’re there, whether it be by text, email, phone, or personal interactions. In the event that it’s a weekend or after working hours, we’ll still find a way to connect.